New South Wales LGBTIQ community group Rainbow Families has started a crowdfunding campaign to raise money to develop new resources to support transgender and gender diverse parents. Co-chair Mat Howard said there were very few resources available to provide guidance to them, and that needed to change. “For families where one or more parents are transgender or gender diverse, the everyday challenges of raising children can be intensified by experiences of misunderstanding, exclusion or even hostility and hatred,” he said. The group have already raised more than half of their $10,000 goal on crowdfunding platform Pozible. The money raised will also allow the group to print and distribute the resources, including to libraries across the state, the group said. 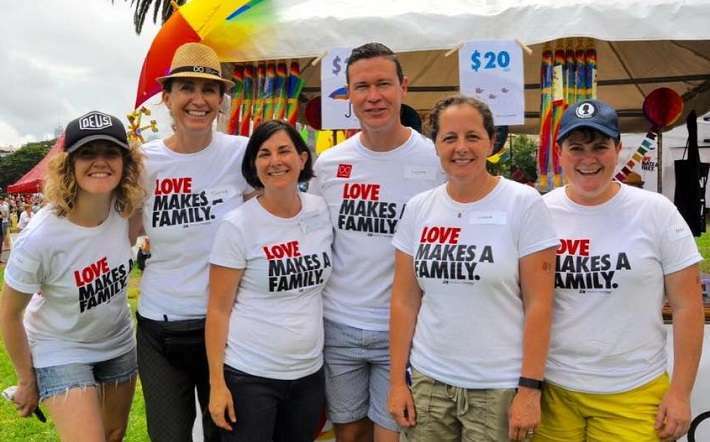 Rainbow Families is a volunteer-led organisation based in New South Wales, with a mission of building a community that connects, supports and empowers LGBTIQ families. To get in touch with the group, visit their Facebook page.